Excellent addition to the PiZero, very convenient. $.02 – tried the hammer header, didn’t like it for two reasons. One – sore thumb after being hit with hammer. Two – (possibly related to one) – connection seemed to be “loose”, as compared to soldered headers. I watched the Pimoroni YouTube video that shows exactly how to install the pins and it was easy to do and 100% perfect. far easier than installing with solder a traditional pin set. The Pi Zero will unfortunately stay pretty much a “paper product” as long as retailers such as Sparkfun are not allowed to sell you more than one… pretty much in your lifetime. I wish it wasn’t a subsidized marketing stunt to undercut competition but a real product with a real (sustainable) price instead. I would love to know where you can find a Pi Zero W for $5. Recently most places I buy them from say 1 per customer but they have not stopped me putting 2 or 3 in the online cart before check out. For Xmas I got 4 in one order for Xmas gifts, that order went OK. It was only back when the W first launched the supplier that had them would not let me buy more than 1, I even sent them an email to say I wanted an extra one for a gift (which was true) but they refused, simple got a friend to order one for me. Ehm… If I’m able to solder contacts directly to the pads on the headerless, I should be able to solder the header itself essentially for “free”, right? 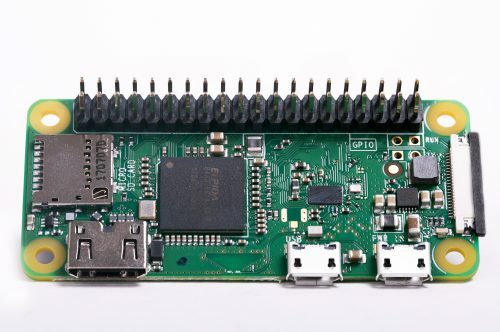 Please make the Raspberry Pi Zero faster, like a Pi 2 or 3. This would be amazing! What are the uses that you have in mind? Does this article forget to mention the main point ? The WH version is available in quantity of more than 1 per customer ! Raspberry Pi Zero WH: the pi for makers, that can’t make. We all have to start somewhere, making comments like this makes the community seem unwelcoming. This is lowering the ‘cost’ of admission. That is you can now do RPi zero projects without needing to be able solder or not allowed too, if you’re as young as I was when I started. The soldering can come later, when they are hooked. It also doesn’t void the warranty this way. Not all “makers” want to focus on electrical components: some of us make a bigger difference focusing on software, algorithms, or even open source community organizing. This announcement is very welcome, and very well timed, as the hardware folks I’m working with are about to start production of the Explorer HAT, and now can buy the Pi Zero WH and not have to solder a header onto every Pi Zero W.
Some of us are software “makers” not hardware “makers”. Nice idea, another zero! But it would be better if it would be possible to buy more than one at the stores. The limitation is not good. And what about a PiZero with BCM2837 ? same answer as the question from Stephan (making it faster) a few questions above. The (quad core) SoC does not have the ability to use PoP (package on package) RAM, so RAM must be mounted either under the SoC or next to it. But It cannot be under it, (no dual sided mounting for this price), so it must be next to it, which would make this PI zero considerably larger. Also it would not meet the requirement of “A functional PI for the price nearest to Zero dollars”. To be accurate you should point out that if this is a standard size header (as it appears to be) it WILL NOT fit in the official case with the camera top or the plain top. I fitted a non-standard header (without the base and using slightly shorted pins) which does fit. I’m so happy somebody noticed! I had that one line stuck in my head all weekend. I have shaky hands due to arthritis. So a soldering iron is hard for me to work but do-able. So this is neat. But what would cool, is if you could add and remove headers like Legos. But then you probably lose the lower profile. I’ve always thought that a female header would have been a better choice for the whole Pi range. Still now it’s impossible to find the RPI Zero in Japan, expect in the form of expensive bundle kits. WTF?! Please follow the links on our products page to approved resellers who supply the Raspberry Pi Zero W to Japan. As I see it, the concept selling the Zero w/ as well as w/o headers makes sense, as the soldering of the header could be a problem, not for “the maker”, but for beginners in the field. And there are that much brilliant HATs and pHATs on the market allowing nearly anyone to build some cool project, without having been ever in contact with an soldering iron. The Pi is not about being an electronics guy, but an option to learn, build and play with technology. I tried to order more than one zero at the distributers raspberrypi.org recommends. The zero (all kinds of it) is limited to one per cusotmer / household. Seems it is sold out at some shops. Just think about the environment, with two or more zeros in a parcel, the pollution would be fewer than delivering just one. At the starting of raspi zero, I thougt there will be enough zeros one day – but when will be the day? While I appreciate that not everyone wants to solder a header I find that £3.80 more compared to the standard W is hefty, that is just short of 40% more expensive! 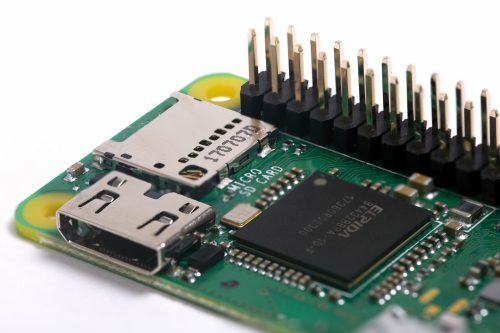 the Raspberry PI Zero WH is about €4 more expensive than the Zero W, which is almost exactly the price of a dual-row 40-pin gold plated pin-header. I pay $5 US to buy rPi zero W. The same store sells the rPi zero WH for $14. It took me ~10 minutes to solder on a header that I paid ~50¢ US for. I think the WH might be over priced. Except that someone has to solder the header. These parts, header or no, are ridiculously cheap for a working computer. Not for volume perhaps, but that’s a different question. Today we're are announcing 13 new Pi Zero Distributors!